Transitioning from high school to postsecondary education after graduation can be exciting and challenging. Most students and their families have many questions. Let’s explore some answers to common questions about disability supports in college. For more information, please contact the college or university you are interested in attending. You should begin planning your postsecondary education a year or two before you graduate. How Can I Prepare for Postsecondary Education? or other adult education programs. Here are some good resources that can help you prepare for postsecondary education. 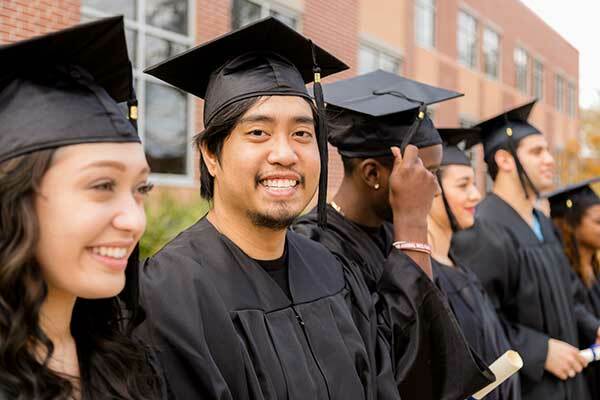 The Maryland Higher Education Commission’s website provides guides about how elementary, middle, and high school students can prepare for postsecondary education as well as information about college searches and financial planning. In Making My Way through College you will find information on a variety of topics relevant to preparing for and succeeding in college and transitioning from college into the world of work. Think College publishes personal stories from students, families, and postsecondary education professionals related to postsecondary education for students with intellectual disabilities. Fact Sheet with frequently asked questions about options for paying for college. Here are some questions you might have about postsecondary education. Will I still receive IEP or 504 supports and services in college? No. When you are in high school, you receive supports under a law called the Individuals with Disabilities Education Act (IDEA) which provides a free, appropriate public education for students with disabilities. It is the school’s responsibility to identify students and provide services. IDEA does not apply to colleges and universities. Colleges and universities provide disability support services in compliance with Title II of the Americans with Disabilities Act (ADA) and Section 504 of the Vocational Rehabilitation Act. To get reasonable accommodations or other disability services in a postsecondary setting, you will need to disclose your disability. It is your responsibility to request services and provide appropriate documentation of your disability. This is where your self-advocacy skills can be put to good use! Will I get the same accommodations as high school? Not necessarily, as your high school IEP/504 plan does not carry over to college. The college will determine what accommodations you will receive after your documentation has been reviewed and information has been gathered from you. When should I request services? Although you may request accommodations from your college/university at any time, it is recommended that you make an appointment with the Disability Support Services office as soon as possible and no later than one month before the semester begins. Colleges/universities are committed to working with and providing you with reasonable services and accommodations. However, arranging services and accommodations takes time. Some academic adjustments may take more time to provide than others. More about requesting services at college . Do I have to follow the same requirements as other students? Yes. Colleges and universities are not obligated or able to change requirements that are essential to their programs. Courses will not automatically be waived if you have a disability that makes specific course content difficult. In some cases, course substitutions may be accepted for students with disabilities. This should be discussed and determined when you enter college. What will I need to do to earn a college degree? You will need to meet the requirements of your program of study as established by the institution you are attending. Self-advocacy means speaking up for yourself and asking for your needs and wants. Learn how to make decisions and become more independent by learning self-advocacy skills.